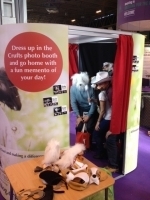 Photo Booths 4Events would like to say a huge thank you to the Kennel Club Charitable Trust who made us feel very welcome on their stand during Crufts this year. We are overwhelmed at the positive response to the photo booth, and equally so that the photo booth managed to raise nearly £1,500 for this wonderful Trust - a truly fantastic effort which could not have been achieved without the generosity offered by all who entered the photo booth. 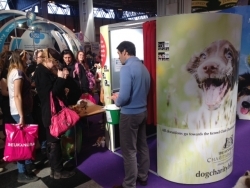 We have some hilarious photos to display, which can also be viewed on the Kennel Club's twitter feed and Facebook page. Thank you once again and we hope to see you next year.